An inverted pyramid of human arms, legs, and torsos – that is what Government of the People appears to be at first glance. With further study, however, the figures begin to emerge more clearly. Those at the base resemble a family group of father, mother, and child – “the wellspring of life,” according to the artist. 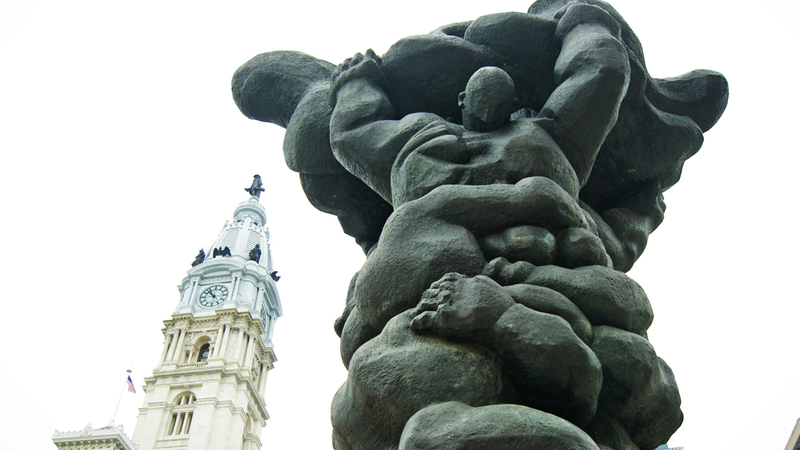 Farther up are a young couple who express “the hope and future of society.” At the top two mature figures, a man and a woman, hold aloft a turbulent form that represents the banner of Philadelphia. The figures spiral upward and grow from each other in a totem-like arrangement. As a symbol of democracy, the sculpture suggests a process of continual struggle, mutual support and dedication, and eventual triumph. 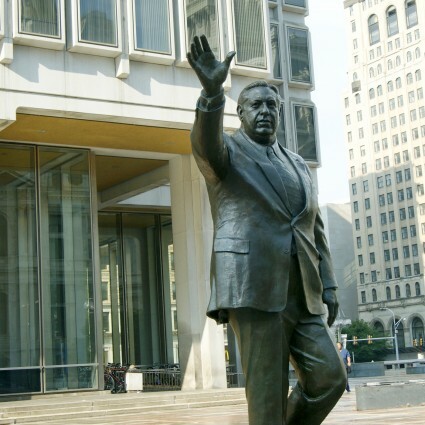 For a long while, ironically, it seemed that the struggles in Philadelphia’s own government of the people might prevent the work’s completion. Jacques Lipchitz was originally commissioned to provide a sculpture for the Municipal Services Building under the city’s fine arts requirement. 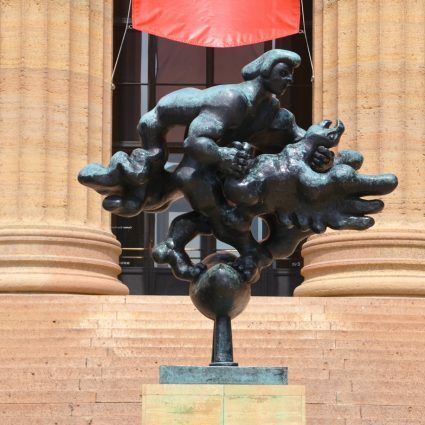 By 1972 Lipchitz’s plaster model, approved by the Art Commission, sat at a foundry in Italy, waiting to be cast in bronze, but Philadelphia’s new mayor, who had compared the sculpture to a load of dumped plaster, refused to make additional funds available. Despite outcries from the local arts community, Lipchitz’s last work was still unrealized when the artist died in the spring of 1973. 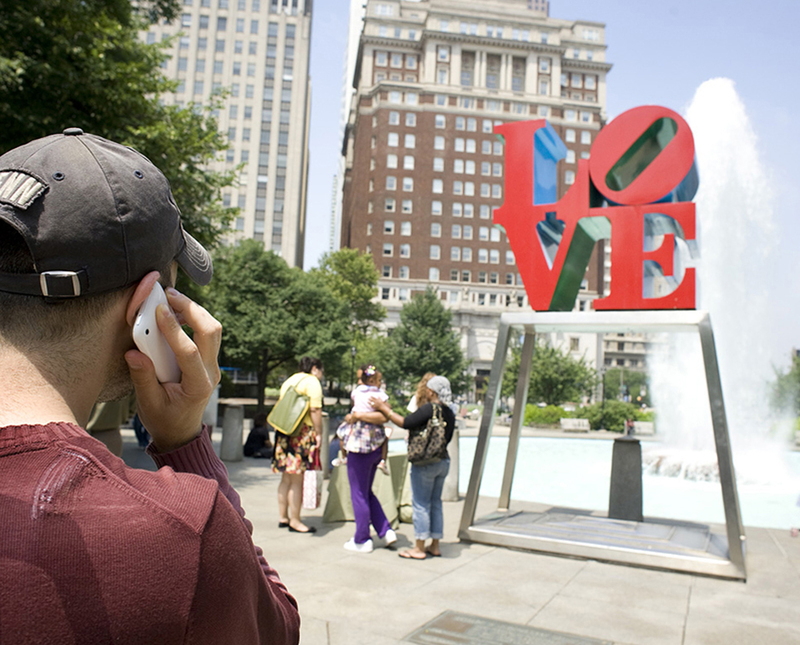 In the fall of that year, however, the Fairmount Park Art Association (now the Association for Public Art) resolved to take over the project in order to have the sculpture in place for the nation’s bicentennial. 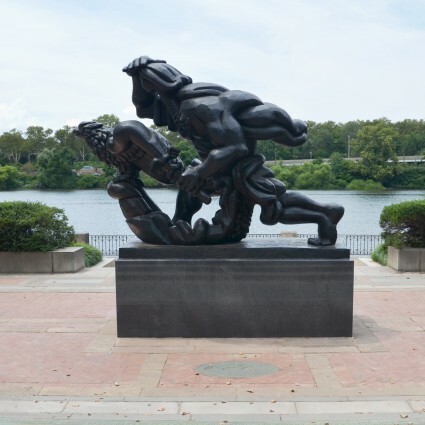 In its evocation of the struggle for freedom and the commitment that makes democracy possible, the monumental bronze carries on the heroic themes of Lipchitz’s Prometheus Strangling the Vulture and The Spirit of Enterprise, also in Philadelphia. 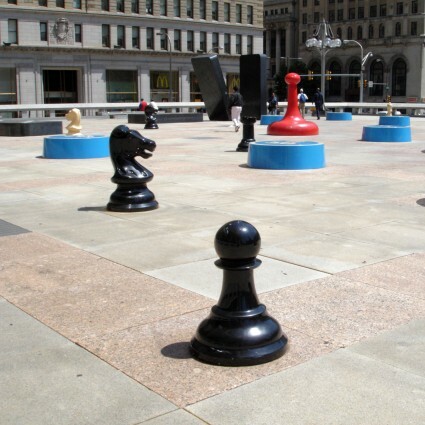 Dr. Roberta K. Tarbell is an art historian who focuses on American art and modern sculpture. She is Visiting Scholar at the Center for American Art at the Philadelphia Museum of Art and the author of Robert Laurent: American figurative sculpture, 1910 – 1960. Muriel Kaplan is an art collector who met and befriended Yulla Lipchitz in Westchester, NY. Yulla’s correspondence with Muriel describes the difficulties in completing Jacques Lipchitz’s last three sculpture commissions after his death.